I have a new toy, a Samsung Galaxy Tab 3 tablet and I am so excited about it - so excited that this week will be dedicated to my favourite apps on there. I only intended to put together one post about it but I got a bit carried away with 1. getting apps for it and 2. taking photos when I starting taking them of the tablet and apps. So let's get started with of course, photography apps. It's true, I love film photography - but really, I love photography in general. I wrote an eBook for Gadchick about Android apps and I loved playing around with these on my phone - but now I have a bigger, brighter, better screen giving me more detail for editing and space for viewing photos. The Android photography apps keep expanding too with amazing apps like Instagram and VSCO finally available (woo) in the Play Store and this tablet is more than capable of bringing out the best of my photos. One particular thing I have loved about this tablet is how perfect the screen size is for viewing other peoples photos - I spend a lot of time browsing Instagram and Flickr and the quality and brightness of the screen - along with the smooth scrolling of both apps has made this past-time even more enjoyable. Three other great photography apps for editing photos (though only two are pictured...) that I enjoy using with this tablet are Snapseed, VSCO Cam (who doesn't love this app) and The Beautiful Mess app (so glad this is on Android!). The larger screen allows for more detailed editing compared to using my phone, especially if adding words to your photos and the quality of the screen again displays the images beautifully. I also love how quickly the tablet processes the apps allowing for quick working as well as great results. What amazes me right now is how cheap good tablets are becoming - this tablet does everything that I need of it but is very affordable I feel. There are also other Samsung tablets available of course, like these from Argos, with larger screens and more memory if you can afford to spend more, but as my first tablet, the Samsung Galaxy Tab 3 is perfect for my photography needs. Diana Mini or Holga 135bc..? I get a lot of Google searches finding my blog with this question and recently I've had a few people email to ask me which I would suggest so I've decided it's time I have somewhere that people can actually find some information on here to help them decide. Although I'm not going to answer this question for you - just help you decide - I'm not actually sure I could decide between them if I had to pick. Luckily when I decided to get my Holga 135bc (way back in June 2009) that was the only 35mm camera option, the Diana Mini didn't exist, so I didn't need to choose. So, how are these cameras similar? When I got my Holga 135bc, it was much cheaper but due to the popularity of Lomography recently, I can safely say that there isn't much difference in the price of these two cameras anymore, even on Ebay. I don't think that's a bad thing though as it makes having to decide on price alone irrelevant. The Diana Mini can be a bit more expensive if you want the flash included, so if you do want a flash, that is worth considering however I don't think it's completely necessary for either camera to have one as they both work better in natural light anyway. Essentially these cameras are very similar - they are both plastic, they can both do multiple exposures, they both have a bulb setting, distance focusing, two aperture settings (sunny or cloudy) and take 35mm film. So if you want to get experimental with your photos, both of these cameras are perfect for that. Though I wouldn't say that this is a deciding factor - it's worth mentioning that the Diana Mini really is indeed mini and that it can be quite fiddly at times whilst the Holga 135 in comparison feels much chunkier and sturdier. The Diana Mini offers two formats - the half frame and the square format. 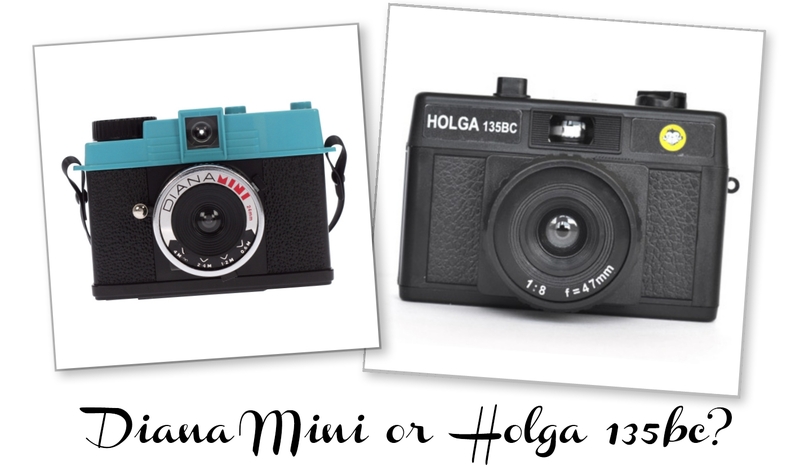 Whilst the Holga just offers the one, the regular rectangular format to fit the 35mm negative. This can be a deciding factor between these cameras and I can personally say that one of the reasons that I love my Diana Mini is the square format - it really suits the camera and its results. 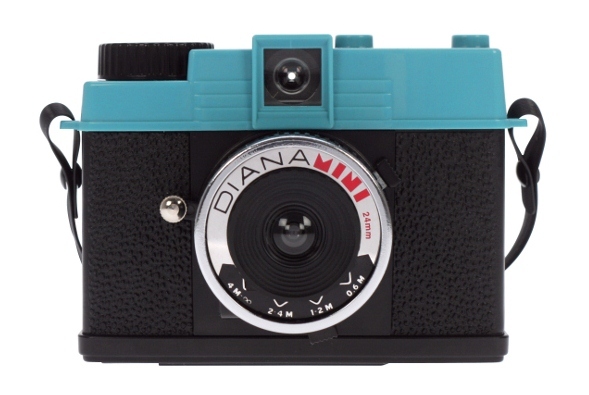 So if you're looking for the square format in particular then the Diana Mini might be for you. 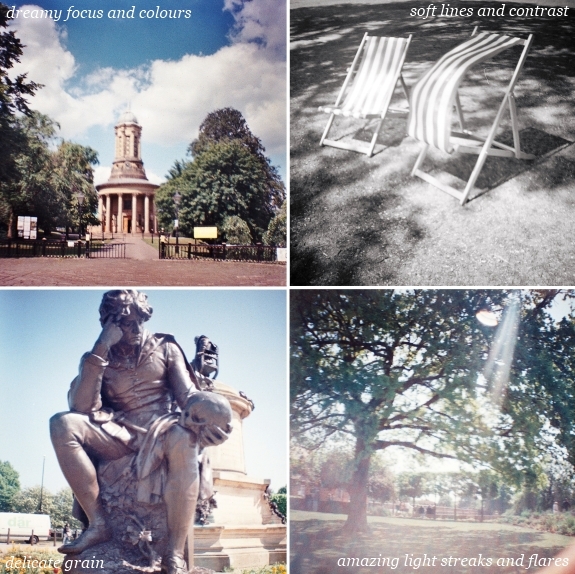 I've written before that it took a lot longer for my Diana Mini to win me over than my Holga 135bc and the Diana Mini is temperamental, it has to be said - I've had issues with loading it, the bulb setting and the advance mechanism, especially in the half frame mode. However, I wouldn't let this put you off - all this requires is practice, patience and research - the Diana Mini micro site has lots of useful videos which I highly recommend looking at and once you've got used to your Diana Mini the results can be constant and glorious. The Holga 135bc in comparison is much easier to pick up - the loading is quite simple, the buttons aren't as fiddly and the advance mechanism is study. 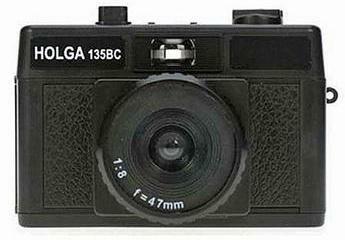 If you're looking for a camera that you can pick up and learn quickly to get the results that you want, then perhaps the Holga 135bc is the camera for you. If you're going to base your decision on anything, then it should really be on this. Someone once said to me that each camera I use is like a different side of my personality and I think they were right. I use different cameras when I'm in different moods, when I want to share different things and despite being very similar cameras, the results are where these two cameras differ the most. The Holga 135bc has an added mask inside the camera that creates the gorgeous vignetting (the 135 doesn't have this but I don't have that camera to compare). The colours and contrasts with the Holga 135bc I've always found to be strong and vibrant, even with softer films like Kodak Portra NC or expired film. The focus is sharper than the Diana Mini with clear lines which create great depth whether the subject is close or further away. In comparison to the Holga 135bc, the Diana Mini results are much softer and dreamier... with subtle contrasts and grain and less vignetting. Yet the Diana Mini is also capable of beautiful colours and focusing, everything just seems more subtle in comparison. With the half frame option you can take double the amount of photos per roll, but I think this camera produces it's best results with the square format. 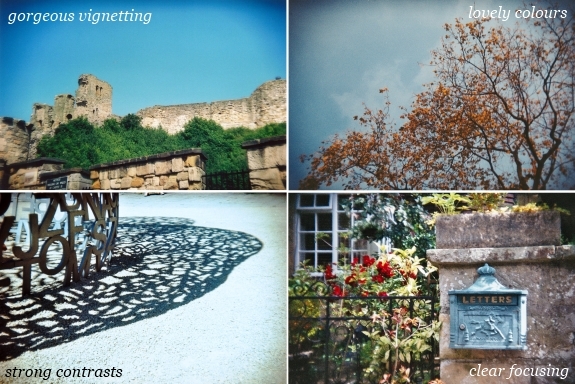 The Holga 135bc is a sturdy, reliable camera that is easy to learn and produces images with strong contrasts, gorgeous colours, beautiful vignetting and clear focusing. I always think that this camera captures things almost exactly as I see them. The Diana Mini is a small, delicate camera which is temperamental, yet with patience and practice can produce dreamy images with soft contrasts, lovely lighting and colours with an almost magical, vintage quality. It's evident from all the photos above that both of these cameras can produce beautiful photos, especially in bright, natural light. Although the mechanics of the cameras are very similar the lenses in both cameras are different, and it's these differences that will influence your decision on which camera to get and how you take your photos. 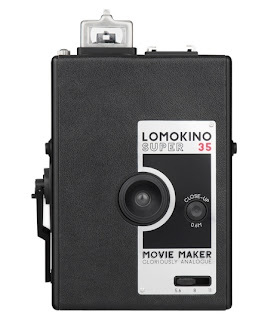 Lomography is very quick to suggest this as a first camera for Lomographers, and it is a great camera - it has extra features to the Diana and Holga including more aperture settings and a light meter which allows for the correct exposure in each photo (though no bulb setting). The contrasts and balance of it's photos are always spot on and the focus is clear - however, this camera is a hefty price. One that I do think is worth it but perhaps not for your first venture into 35mm cameras or if you have a limited budget. This camera is simple. It has one shutter button, a fixed wide angle lens and that is it. The colours are vivid with great vignetting and the results can be fun as well are artistic. If you're worried about all the settings on the Diana Mini or Holga 135bc then perhaps this is the camera for you, although you can't do multiple exposures. 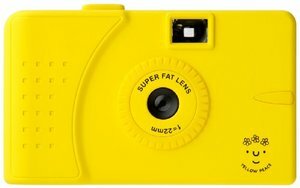 This camera is cheap and also comes in a fun variety of colours. 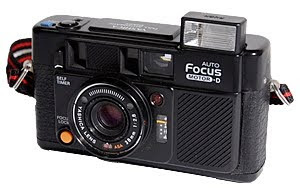 Again, similar to the Holga 135bc and Diana Mini in mechanics - it's plastic, it can take multiple exposures, it has a bulb setting, distance focusing, a fixed aperture and takes 35mm film. However, this camera has a wide angle lens which produces great vignetting and interesting results. Another contender if you are looking for something a bit more artistic and varied. 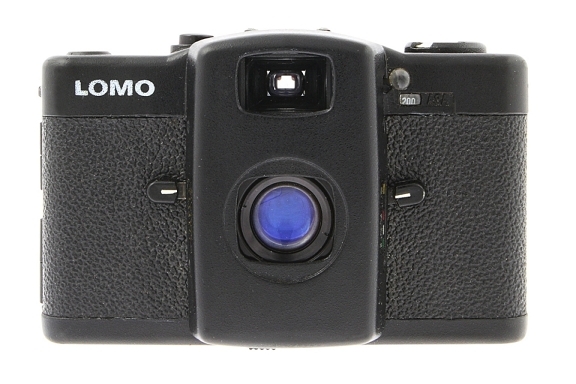 This Lomo Flickr thread has a great description and more information on the cameras I've talked about above. When I first put this list together it was a lot shorter... so I've tried to break it down so it's not quite so much to take in. All of the cameras that I used/have used take 35mm film (other than the instant cameras) . 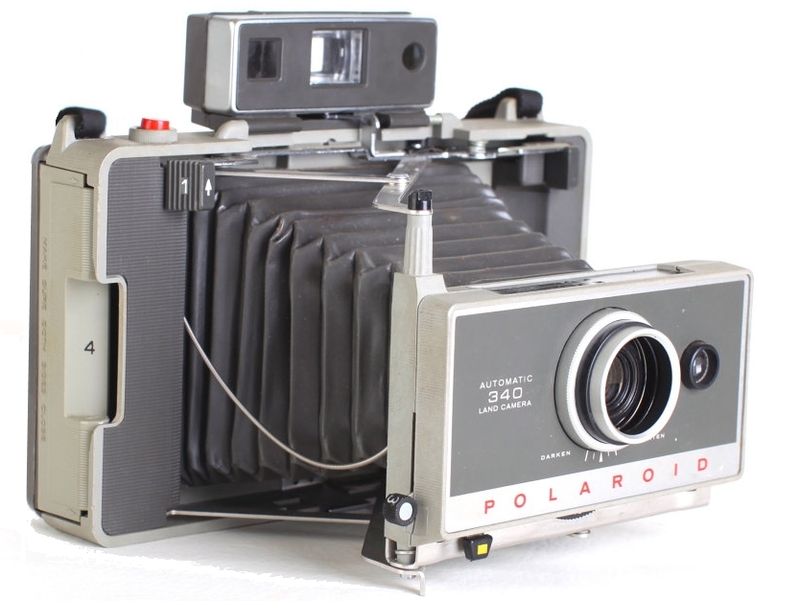 This was my first lomography camera and really the camera that caused my love of photography and cameras again. You can read me gushing about it more here. Pros: Great vignetting, clear results and its so versatile, it can take any film and its easy to use. Cons: Other than forgetting to check its not on bulb mode (N not B) None. haha. I love it. Technically a SLR with an autofocus, this half frame camera is amazing. I love the zoom, it captures details perfectly and the results are always stunning. Pro: It has a zoom! Also, you get double the photos. Cons: Heavy and it needs a battery which is quite hard to find.. This is my Daddy's camera, so I love it for that. But its also a very impressive SLR with great results. A truly great camera that I can imagine I'll be playing with for a long time. Pros: It's an SLR, amazing lens and results. Cons: It's a bit hefty and very picky with light, but worth it. This camera is fun! So so fun. I love it so... 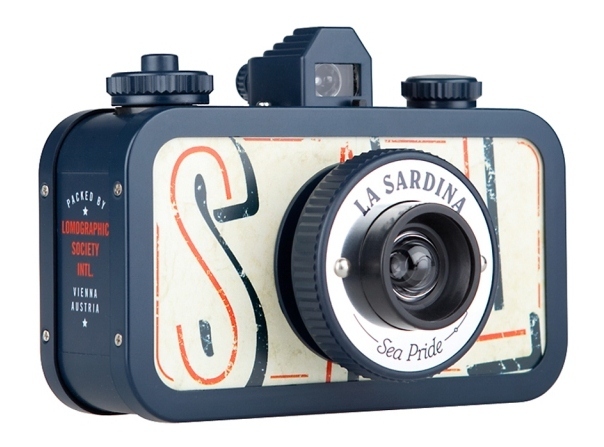 I personally love the colours from these and its the perfect companion to any of my 35mm cameras where ever I go. Pros: Beautiful colours, instant fun, perfect for a gift or your wallet. Cons: The film is ISO 800 so can over expose in the sunshine but its rare. My first TLR camera to take photos with and because I made it, I love it. I know how it works and I know that it has a missing screw somewhere. Pros: It's yellow! Fun to make, really helps to explain how a camera works, light and great results. Cons: You have to really decipher the instructions but I'd say that is part of the fun! A really fun little plastic 35mm camera modified by James Butler to do multiple exposures. I love experimenting with it and find it a great little camera to use with other cameras when visiting new places. Pros: Easy to use, lightweight and so fun. Cons: Possibly too simple for a photographer used to more control but I can't think of much wrong with it. 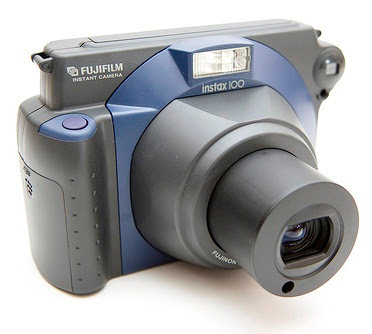 I've had mixed results with this camera - it's huge and heavy, the flash is massive, bright and annoying and honestly, I'd rather just use my instax mini camera. Other photographers have produced amazing results, but I just didn't click with it. Pros: Bigger photos than the mini. Cons: Heavy, mixed results, annoying flash. One of my newest cameras and definitely one of my favourites. My LC-A is from 1992. With further aperture settings than the holga and diana and a light meter, this camera is perfect for most situations with amazing results. Cons: You can't do multiple exposures, if you want these, get the LC-A+. Also you can't use the Lomography LC-A+ accessories with it. I’ve really struggled with polaroids in the past but finally I’ve found a polaroid that works for me and it works incredibly well!! Pros: The film for this camera is still made by FujiFilm and it's easy to get and use. Cons: This camera weighs a fair bit and although it folds so easily, its still a trek to carry it around. 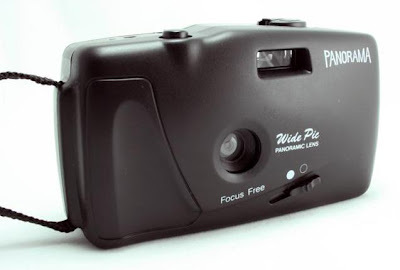 A simple point and click camera with a wide lens. 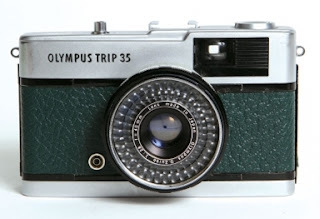 If you're new to 35mm film and a little scared of the Lomography cameras unpredictable results, I would recommend one of these as your first plastic camera. 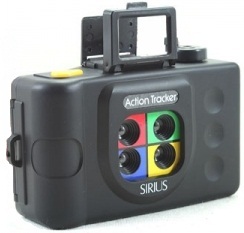 Pros: Simple to use, beautiful results, great for locations with the wide angle lens. Cons: You can't do multiple exposures. I love that I can now have videos that are in a format that I think reflects me the best: film! Pros: The resulting videos look amazing and it's a really fun camera to use. Cons: It needs a lot of film, it's a bit tedious to scan and put together the videos and it needs practice for loading as the process is quite different from other cameras. 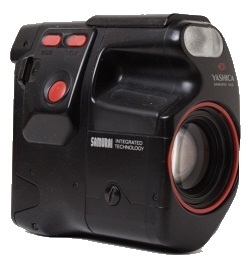 Another wonderful Yashica autofocus camera. I'm always really pleased with the results from this camera, the grain is always lovely with great contrasts. Cons: Although great results, they have a similar look to the Samurai, which is why I don't use it as much. My latest Lomography camera and my latest love/hate conquest. A fun, pretty looking camera with unique fun results but I often choose other cameras over it, perhaps I should try using it more. This is a fun camera, but its not a true wide angle lens, just a standard lens with a cropped frame inside which just annoys me as it wastes film really. Fun for a few tries, but not really a keeper. Pros: Fun and simple to use with good results. It took me much longer to learn to love my Diana Mini than my Holga, but I do love it, especially in the square frame mode. You can read more about why I love it here. Pros: Beautiful, dreamy results, square mode, compact. 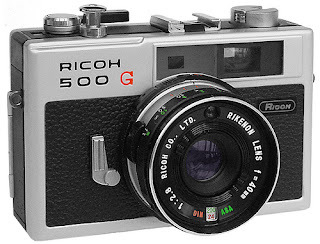 Cons: Temperamental, need patience, needs higher iso films and lots of sunshine. This is my newest love. Found in a charity shop for a bargain, I now take it everywhere. My Zenit B came with a Helios 42 lens. Pros: Lots of control and a beautiful soft focus lens. Cons: It weighs a ton but honestly, I love it so much that I don't really mind. I have wanted one of these for so long that I can't actually believe I have one. They are just as pretty in person. And Thomas found it for £10!!! Have I said before that he is my camera finding hero? He is. Anyway, this is a gorgeous camera with huge potential. Pros: Solid, compact, sturdy camera with great results when you get it right. Cons: None yet, the mistakes were mine, not the cameras. I nearly didn't buy this camera but an amazing old man in the charity shop turned out to be quite a knowledgeable fellow and convinced me into buying it. I'm so glad he did. Pros: A sturdy camera with great results when you get it right. Cons: The light protection stuff inside mine is falling apart, its quite common with these cameras apparently. An amazing gift from one of my best friends which I still love. Taking four photos one after the other, it's fun, provides great action shots and I love the results. 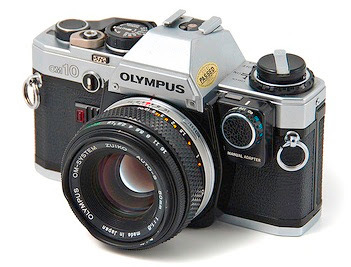 Like the OM-10, one of my polaroids is my parents camera and I really wish I could use it more. 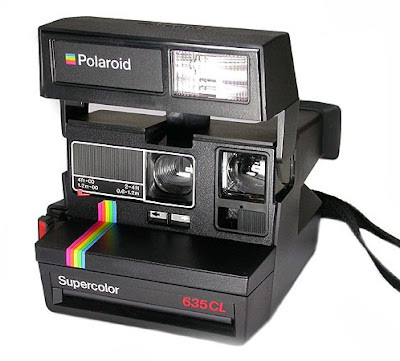 Pros: You can achieve some amazing results with polaroids, a lot of my favourite photographers take the most amazing polaroid photos and they are great cameras. Cons: The Impossible Project film is quite pricey compared to other instant formats that I have. This one was a hard camera to categorise as I do love the results I've had from it and the flash is also perfect for parties etc. However, I've used it twice since I've had it... so I think this will be a limited use camera as I have so many others that I would use before it. Pros: It has a flash, its compact and easy to use. Also, it's yellow! So there is the round up of all the cameras I've used so far on here - I'm actually amazed that its as many as that.